TORONTO—China’s refusal to relent on releasing detained Canadian citizens—which, despite Beijing’s public claims to the contrary, seems to be in retaliation for the arrest of Huawei Chief Financial Officer Meng Wanzhou on Canadian soil—finally prompted Ottawa to depart from the careful tone it had taken and ask allies to show a unified front in demanding the release of the Canadians. Just weeks prior to the Dec. 1 arrest of Meng at the request of the United States, China’s ambassador to Ottawa reiterated the regime’s desire for a free-trade deal with Canada, part of an ongoing charm offensive by Beijing to lure more countries to its side, against a backdrop of rising trade tensions between China and the United States. But the arrest of the heir to its flagship company irked Beijing enough to reveal its true colors, says Chinese-Canadian author Sheng Xue. In a statement released shortly after Meng’s arrest, China’s foreign affairs ministry warned Canada of “grave consequences” if Meng wasn’t released immediately. “Meng Wanzhou is not just a simple businesswoman. She is not just a simple Chinese citizen. She is the secret weapon of the Chinese tyrannical state,” Xue said. According to Xue, Huawei is part of the soft power strategy adopted by China decades ago, after realizing that it can’t influence the world in isolation. The strategy saw the launch of initiatives such as culture and education exchanges and closer trade ties with Western democracies. On the technology front, Huawei is a key part of China’s ambition to dominate the global telecom sector. As the eldest daughter of Huawei founder and CEO Ren Zhengfei, and the person next in line to take over the company, Meng is of great importance to Beijing. Although the arrest was at the behest of the United States, it wasn’t U.S. citizens that Beijing went after. While the U.S. administration has been increasingly tightening the vise on Beijing to force it to play by the rules, the Canadian government has continued to seek closer ties with China in line with its policy since winning the elections in 2015. Shuvaloy Majumdar, Munk Senior Fellow with the Ottawa-based think tank Macdonald-Laurier Institute, says Canada shouldn’t be thinking of itself as an innocent bystander caught in the crossfire of two superpowers. “I think we have common interests in a Western alliance to work with our allies and our partners in market democracies to shape a world that responds to those rules better,” Majumdar said. In attempting to pressure Canada—a country with an independent judiciary system—to bypass the courts and release Meng, Beijing is clearly showing that it has no respect for the rule of law, Majumdar adds. For her part, Foreign Affairs Minister Chrystia Freeland has insisted that Canada won’t be cutting corners in the judicial proceedings regarding Meng, outright rejecting suggestions by some business leaders and analysts that Canada should have found a loophole to not arrest Meng and thus, avoid the resulting diplomatic spat. “The rule of law is not about following the rule of law when it suits you,” Freeland told The Canadian Press. Under the Canadian extradition process, once a court determines there is sufficient evidence to justify a suspect’s extradition, the case comes to the federal justice minister who has to decide whether to proceed with the extradition. It is rare for a justice minister to go against the court’s decision, but it can happen if, for example, the suspect is potentially facing the death penalty—which is abolished in Canada. “The minister can look at health issues, he or she can look at whether or not the trial will be fair, and he or she can look at the penalty, and then decide that, ‘You know what, I’m not going to extradite because it offends Canadian values,’” explained Leo Adler, a lawyer specializing in Canadian and international criminal law. Both the court’s decision, as well as the minister’s decision, are subject to appeal. Michael Spratt, a lawyer specializing in criminal law, says playing politics with an extradition process is a perilous game. “Indeed, one of the defining features of Canadian democracy is the rule of law and any steps that weaken judicial institutions or our international obligations is dangerous,” he said. 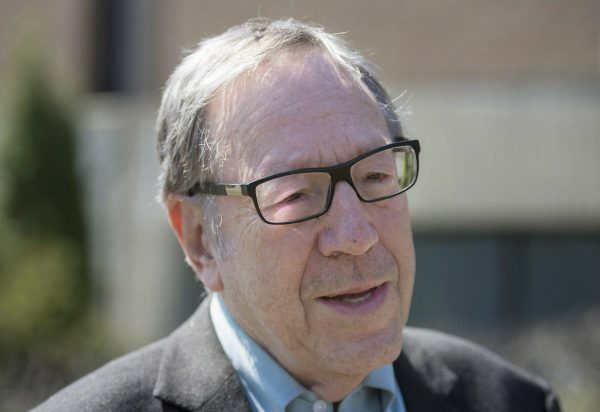 According to Irwin Cotler, a justice minister during Paul Martin’s Liberal government, the minister is obligated to base his or her decision on whether to proceed with the extradition purely on legal considerations, without being influenced by politics. He recalled a case in 2004 in which he signed off on the extradition of two Spanish nationals, once he made sure there would be no ill-treatment for them if they were sent back. Meng has been released on a $10 million bail in Vancouver and will be going back to court in early 2019 for extradition hearings that could take months or years. 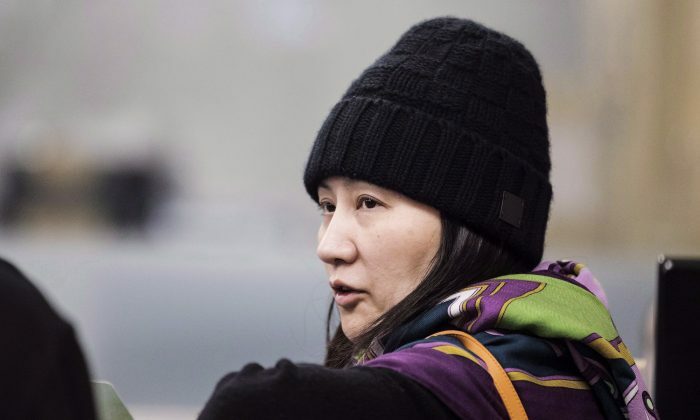 She is charged with committing fraud by allegedly misrepresenting the relationship between Huawei and Skycom, a Hong Kong-based company reportedly doing business with Iran. Each of the crimes she is charged with carry a maximum sentence of 30 years. 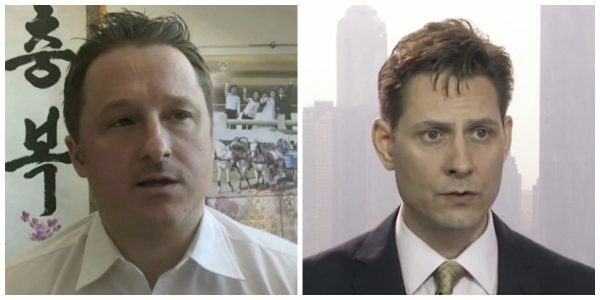 Canadians Michael Kovrig, a former diplomat, and Michael Spavor, an entrepreneur, were detained in China over what Beijing says are national-security concerns. A third Canadian, Sarah McIver, was detained for “illegal employment” but was released Dec. 28.